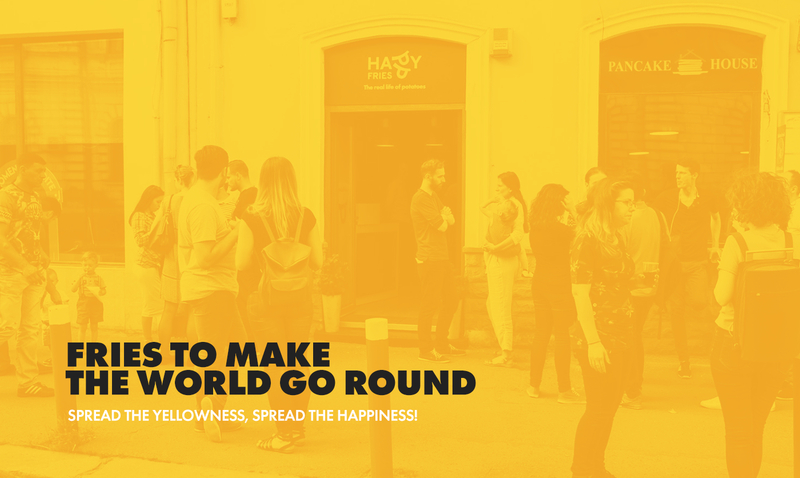 Happy Fries is the only place in Cluj where you can get your French fries on the go. You can serve fresh fries with a thin crust and a salty crisp, perfect for brunch or as a snack any time of the day. 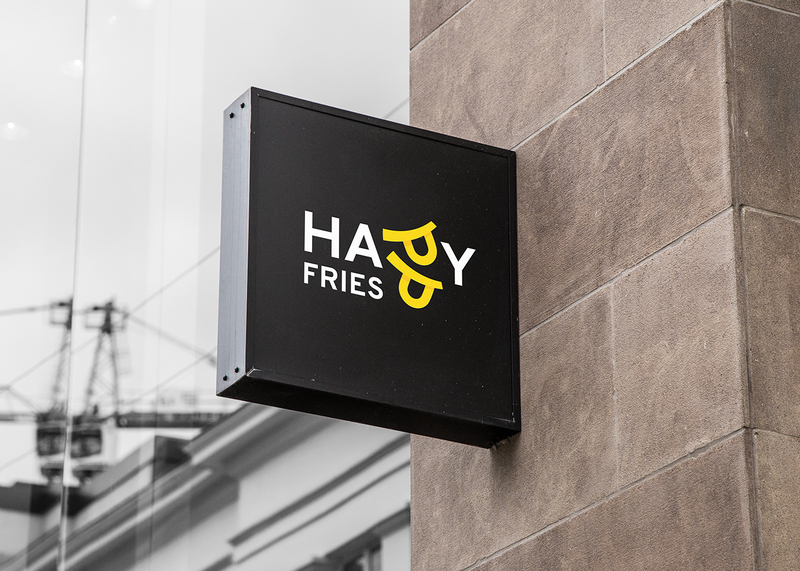 This is a completely new concept in town – fries on the go; and they’re very appreciated for the way they’re served, but also for their unique taste. 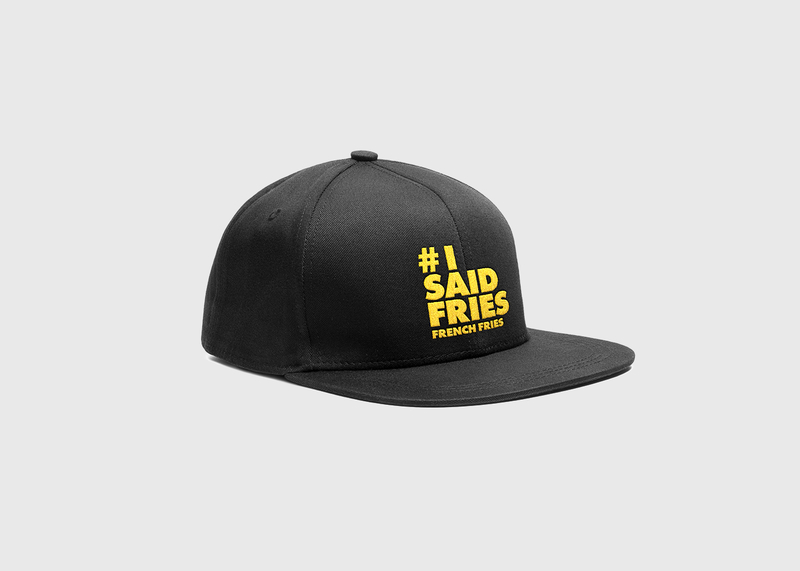 They say that these fries make the world go round! 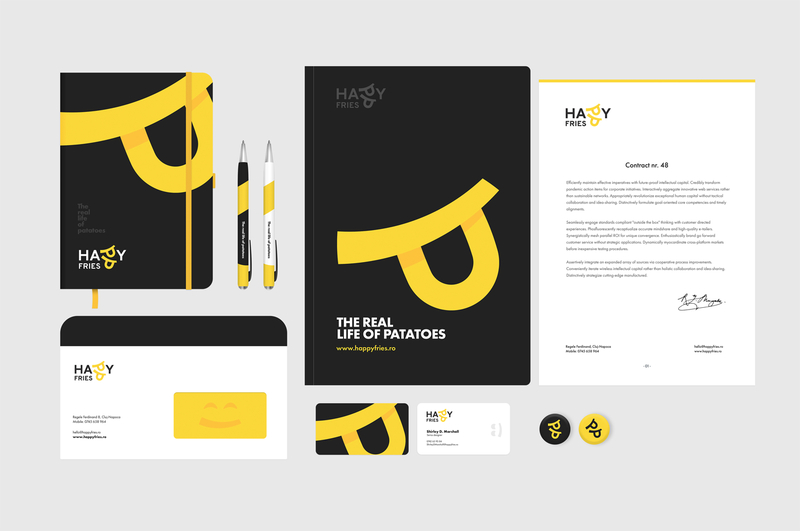 Happy Fries is one of our beloved projects and this is the story of how its brand identity came to be. 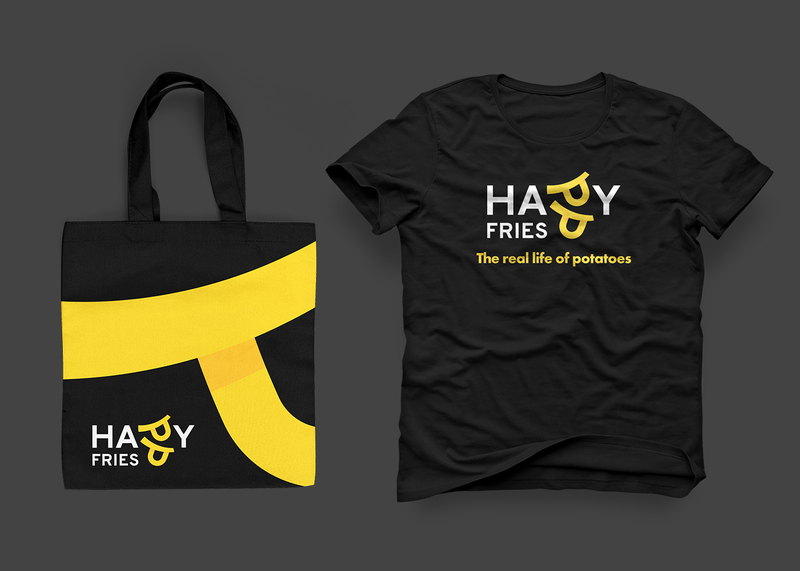 We started the creative process by thinking about something friendly and fresh, that could easily be associated with tasty fries and be remembered at first glance. 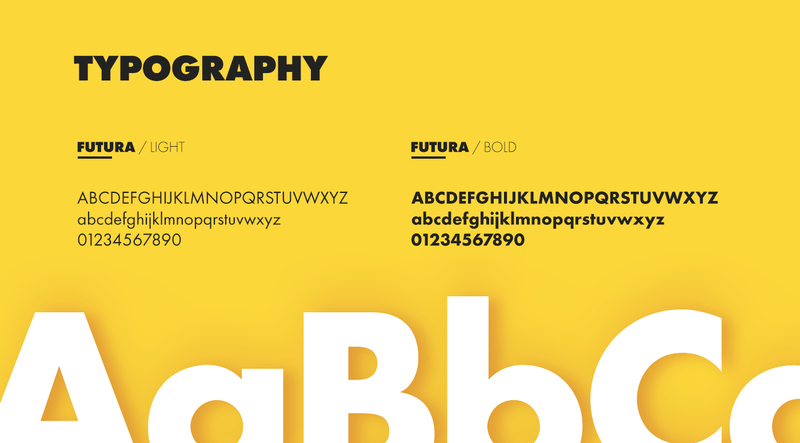 This is how we arrived to the shape of a smiley face, a symbol which ties into several elements: the brand name, the product and the state of mind you get when you think of the smell of some freshly made French fries. 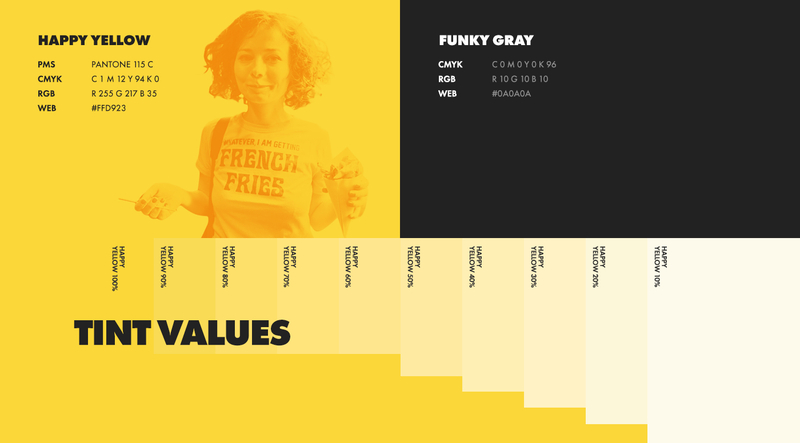 We also played around with contrasts and colors until we decided on this black and yellow version, where yellow suggests fries, and these are associated with happiness by many of us. Finally, we wanted to cater to the expectations of our awesome generation, which is why the visual identity contains the very cool and omnipresent hashtag. 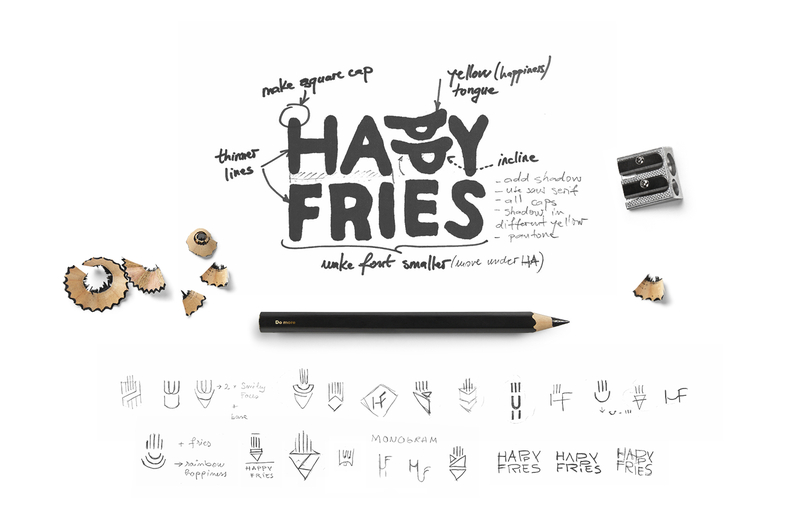 This, folks, is the story of how we created the brand identity for the fries that make the world go round.